The San Diego Bay Watershed Management Area (WMA) encompasses a land area of 440 square miles, making it the largest WMA located entirely within the boundaries of San Diego County. It lies in the lower portion of the County and neighbors San Diego River Watershed to the north and Tijuana Watershed to the south. For the purposes of the Water Quality Improvement Plan (WQIP), however, they are considered to work in conjunction, all eventually discharging into, and impacting water quality in, San Diego Bay. Rainfall to the region drains through a variety of creeks and minor tributaries. Still, being two of the larger water bodies within the WMA, a considerable proportion of runoff enters either Otay River or Sweetwater Creek before being deposited into the San Diego Bay. The WMA also contains a number of lakes and reservoirs that are distributed between the three hydrologic units. The San Diego Bay WMA supplies many local residents with potable water sourced from one of five reservoirs: Chollas Lake, Sweetwater, Loveland, and Upper and Lower Otay Reservoirs. The most populated WMA within San Diego County, San Diego Bay is home to about 1,030,000 individuals (2010 U.S. Census). Currently, about fifty-eight percent (58%) of the WMA remains undeveloped. The remaining forty-two percent (42%) of the land area is being utilized for residential, retail/office, industrial, transportation, and miscellaneous land uses. To see a more definitive breakdown of land uses by hydrologic unit, please refer to the Pueblo San Diego, Sweetwater, and Otay sections below. The San Diego Bay WMA is estimated to be home to approximately one-third of the population of San Diego County. The vast majority of the population is concentrated in the more developed urban and suburban regions of the Pueblo Watershed and the lower Otay and Sweetwater Watersheds. Given its dense population, the WMA suffers from several human-induced pollutants, which have the potential to negatively impact how residents, business-owners, and tourists use and interact with local water bodies. It is important to note, however, that the watershed serves more than just humans. The San Diego Bay WMA hosts a variety of unique and diverse ecosystems that act as critical habitat for a number of endangered and threatened species, including the California gnatcatcher, southwestern willow flycatcher, Quino checkerspot butterfly, and California red-legged frog. Many of the water bodies support multiple beneficial uses outlined in the table below. Chollas Creek, Paleta creek, Sweetwater River, Sweetwater Reservoir, Loveland Reservoir, Upper and Lower Otay Reservoirs, Otay River, San Diego Bay. Trace metals, toxic substances, and coliform bacteria. The San Diego Bay WMA contains a number of environmentally sensitive areas (ESAs), as defined in Chapter 5 of the San Diego Regional Basin Plan. When excessive quantities of pollutants are deposited into these water bodies, they may inhibit many or all of these beneficial uses and can result in actions such as beach closures and postings, etc. The most significant sources of pollutants impacting the above beneficial uses include urban and agricultural runoff, resource extraction, septic systems, and marinas and boating activities. Under Section 303(d) of the Clean Water Act, Chollas Creek of the Pueblo Hydrologic Unit, was identified as impaired for a number of constituents including bacteria and metals, which are required to be addressed through a number of best management practices and regular monitoring. As such, National Pollutant Discharge Elimination System (NPDES) Permit copermittees (also referred to as Responsible Agencies (RAs)) focus their treatment and cleanup efforts on this particular water quality condition. As part of the process, however, copermittees are required to develop a comprehensive Water Quality Improvement Plan (WQIP) for the WMA that identifies highest priority water quality conditions, strategies to address them, and monitoring plans. The WQIP and associated Annual Reports are required by Order No. R9-2013-0001 as amended by Order Nos. R9-2015-0001 and R9-2015-0100 and pertain specifically to improving the quality of both storm water and non-storm water discharged by copermittees’ municipal separate storm sewer systems. In the San Diego Bay WMA, copermittees include the County of San Diego, San Diego Regional Airport Authority,San Diego Unified Port District and the Cities of Chula Vista, Lemon Grove, National City, Coronado, La Mesa, San Diego, Imperial Beach; however, these agencies collaborate with Caltrans in implementing the WQIP. The WQIP for the San Diego Bay WMA was submitted and received approval from the Regional Water Quality Control Board in February 2016. 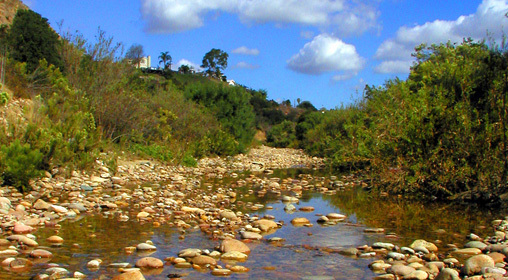 Copermittees within the San Diego Bay WMA selected bacteria and dissolved metals in Chollas Creek as their highest priority water quality conditions. IS YOUR CITY ON THE LIST ? The smallest of the San Diego County watersheds, the Pueblo San Diego Hydrologic Unit covers about 38,000 acres or about fourteen percent (14%) of the San Diego Bay WMA. The hydrologic unit can be further broken down into three sub-watersheds or hydrologic areas that include Point Loma (908.1), San Diego Mesa (908.2), and National City (908.3). Located just north of San Diego Bay, the watershed falls within the jurisdictions of the Port of San Diego, the County of San Diego, and the Cities of San Diego, La Mesa, Lemon Grove, and National City. Unlike Sweetwater and Otay watersheds, Pueblo San Diego has no central stream system and instead consists primarily of a group of relatively small local creeks and pipe conveyances, many of which are concrete-lined and drain directly into San Diego Bay. Major water features in the Pueblo San Diego Hydrologic Unit include Chollas Creek, Paleta Creek, and San Diego Bay. Chollas Lake, located towards the northeastern corner of the watershed was once used to supplement the drinking water supply, but is now used principally as a recreational area. Considered one of a kind in San Diego County, Chollas Lake now serves as a youth fishing lake. Also contained within the Pueblo San Diego Hydrologic Unit is the Point Loma Ecological Reserve, a 650 acre coastal park located near the tip of the Point Loma peninsula. Visitors to the Reserve have observed a number of federally- and state-endangered species, including the Orcutt’s spine flower and the threatened California gnatcatcher. Nearby, the 1200 acre Balboa Park draws in multitudes of tourists from around the country and the world. Not far from the skyscrapers of downtown San Diego, it chiefly serves as a cultural park and contains a wide array of hiking trails, open spaces, museums, and gardens. The hydrologic unit is the most developed, and with nearly 500,000 residents, is the most densely populated watershed in the San Diego Bay WMA (2010 U.S. Census). About seventy-five percent (75%) of the watershed is developed, but the dominant land use remains relatively consistent between hydrologic areas. Residential areas are the primary land use in all three of its hydrologic areas, comprising thirty-two percent (32%), forty percent (40%), and forty-six percent (46%) of the total land area of the Point Loma, San Diego Mesa, and National City Hydrologic Areas, respectively. These beneficial uses have been threatened by a number of human-induced pollutants that affect the area. The creeks in the watershed are highly impacted by urban runoff, and Chollas Creek and the mouth of the creek in San Diego Bay are listed as 303(d)-impaired water bodies for bacteria, various trace metals and aquatic toxicity. Five sites in San Diego Bay that are impacted by runoff from the Pueblo San Diego watershed have been identified as hot spots by California’s Bay Protection Toxic Cleanup Program. Which three hydrologic units constitute the Pueblo Hydrologic Unit? The Sweetwater Hydrologic Unit contains three main drainage areas: Lower (909.1), Middle (909.2), and Upper (909.3) Sweetwater Hydrologic Areas and is the largest of the three San Diego Bay hydrologic units, encompassing over 145,000-acres. Copermittees within the more densely populated lower Sweetwater Hydrologic Area include the Port of San Diego and the Cities of San Diego, National City, Chula Vista, La Mesa, and Lemon Grove. The middle and upper areas to the east primarily consist of unincorporated areas within the jurisdiction of the County of San Diego. The watershed has four major water bodies: Sweetwater River, Sweetwater Reservoir, Loveland Reservoir, and San Diego Bay. Portions of the San Diego Bay National Wildlife Refuge, including the Sweetwater Marsh, are contained within the Sweetwater Hydrologic Unit and provide prized habitat to a number of endangered and threatened species, like the California least tern and the belted kingfisher. Further upstream, much of the watershed is occupied by undeveloped lands in the Cleveland National Forest, Cuyamaca Rancho State Park, and the unincorporated communities of Pine Valley, Descanso, Alpine, and the Viejas Indian Reservation. The Cleveland National Forest, Cuyamaca Rancho State Park, and Viejas Indian Reservation are regulated separately and copermittees do not have authority to require their participation or to implement NPDES Permit requirements. Estimates place the current population of the Sweetwater Hydrologic Unit at around 340,000 (2010 U.S. Census), most of them concentrated in the lower watershed. Nevertheless, over half of the watershed is undeveloped and open space lands (60%). On an hydrologic area basis, the Lower Sweetwater is the most urbanized, with residential areas leading at forty-four percent (44%), followed by transportation at eighteen percent (18%) of land area. Undeveloped and open space lands dominate the majority of the area within the Middle and Upper Sweetwater Hydrologic Areas, making up sixty-three percent (63%) and eighty-two percent (82%), respectively. Residential land uses followed in each of the hydrologic areas, with twenty-eight percent (28%) and twelve percent (12%) of the total in each of the Middle and Upper Sweetwater Hydrologic Areas. Additional contributing land uses include transportation and commercial and industrial businesses. The above beneficial uses are regularly under threat by various human-induced pollutants from the surrounding areas. For example, the San Diego Bay shoreline is listed under Section 303(d) of the Clean Water Act as impaired due to elevated levels of coliform bacteria and enterococcus. Impairments also exist in Sweetwater River and in addition to enterococcus and coliform bacteria, are also related to excessive concentrations of nitrogen, phosphorus, selenium, dissolved solids. Other water bodies that are listed include Telegraph Canyon Creek, Sweetwater Reservoir, and Loveland Reservoir. The Sweetwater Hydrologic Unit contains portions of which National Wildlife Refuge? Of the three San Diego Bay hydrologic units, the Otay Hydrologic Unit has been identified by the Basin Plan as the second largest, comprising nearly 98,500 acres of land. 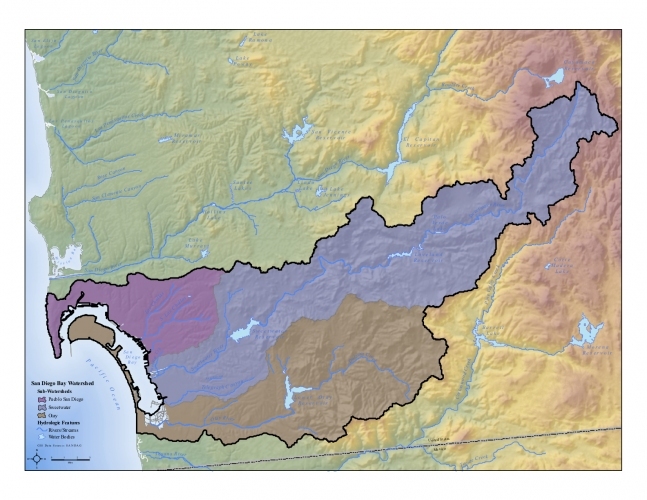 The Otay Hydrologic Unit can be further broken down into three distinct hydrologic areas, each with unique geological and environmental features: Coronado (910.1), Otay Valley (910.2), and Dulzura (910.3). Spreading over a relatively large land area, copermittees to the National Pollutant Discharge Elimination System (NPDES) Permit include the County of San Diego and the Cities of Imperial Beach, Coronado, National City, Chula Vista, and San Diego. On a much smaller scale, the layout of the watershed resembles that of the Sweetwater Hydrologic Unit, containing one central creek that collects and conveys the majority of the watershed’s surface runoff. Moreover, the Otay Hydrologic Unit contains four major water bodies: the Upper and Lower Otay Reservoirs, Otay River, and San Diego Bay. In addition to supplying potable drinking water to area residents, the reservoirs and the land immediately surrounding them act as habitat to native wildlife and allow for a myriad of recreational opportunities. 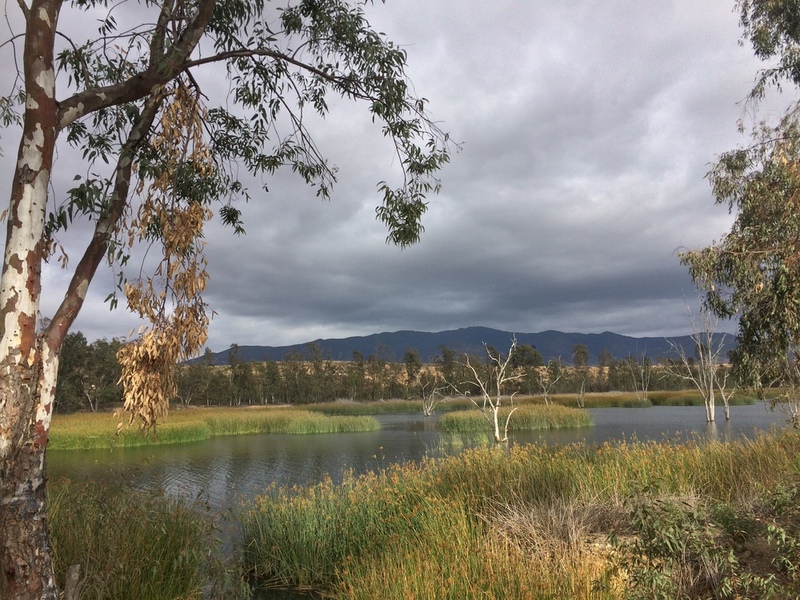 From an ecological standpoint, the Otay Hydrologic Unit is inclusive of portions of the San Diego Bay National Wildlife Refuge, the Rancho Jamul Ecological Reserve, and the Otay Valley Regional Park. In combination with the San Diego County Multiple Species Conservation Program, which impacts over 23,000 acres, these natural areas provide habitat to many native Southern Californian endangered plant and animal species. The U.S. Census estimated in 2010 that the Otay Watershed is home to just over 200,000 individuals. Land in the area is primarily composed of undeveloped and open spaces, which make up roughly sixty-eight percent (68%) of the watershed as a whole. However, land uses within the Otay Hydrologic Unit vary extensively by hydrologic area. For example, in the Coronado Hydrologic Area, where military uses overshadow other land uses at fifty-two percent (52%), open space and undeveloped lands only comprise three percent (3%) of the land area. In Otay Valley and Dulzura Hydrologic Areas, however, open spaces and undeveloped lands dominate, making up forty-seven percent (47%) and eighty-three percent (83%) of land area, respectively. In each of those hydrologic areas, residential land uses follow with sixteen percent (16%) and eighteen percent (18%) of land area, trailed by transportation, and industrial and institutional uses. In the Otay Hydrologic Unit, there are a number of water bodies listed as impaired under Section 303(d) of the Clean Water Act. The Pacific Ocean Shoreline and San Diego Bay Shoreline are listed as impaired as a result of enterococcus, coliform bacteria, PCBs, and copper. Other local water bodies listed as impacted by pollutants include the Lower Otay Reservoir, Jamul Creek, and Poggi Canyon Creek. How does the Otay Hydrologic Unit compare to its counterpart San Diego Bay hydrologic units in size? “About the Refuge – San Diego Bay.” U.S. Fish and Wildlife Service. U.S. Fish and Wildlife Service, 21 Dec. 2012. Web. <https://www.fws.gov/refuge/San_Diego_Bay/about.html>. Memorandum of Understanding Between the Federal Landowners on Point Loma, San Diego, City of San Diego, and U.S. Fish and Wildlife Service. Publication, N.p. : n.p., n.d. National Park Service, 2005. Web. <https://irma.nps.gov/Datastore/DownloadFile/444449>. San Diego County MS4 Copermittees. 2008. San Diego Bay Watershed Urban Runoff Management Program Document. Final, March 2008. Submitted to the San Diego Regional Water Quality Control Board by the San Diego Bay Copermittees. San Diego County MS4 Copermittees. 2016. San Diego Bay Watershed Management Area Water Quality Improvement Plan (WQIP). Final, February 2016. Submitted to the San Diego Regional Water Quality Control Board by the San Diego Bay Copermittees. “San Diego National Wildlife Refuge – Sweetwater River Trail.” Hiking San Diego County. HikingSDCounty, 26 June 2014. Web. <http://hikingsdcounty.com/san-diego-national-wildlife-refuge-sweetwater-river-traill/>. San Diego Regional Water Quality Control Board (San Diego Regional Board). 2016 (August 5). Basin Plan. San Diego, CA. Available: http://www.waterboards.ca.gov/sandiego/water_issues/programs/basin_plan. State Water Resources Control Board, 2010. California’s 2010 Clean Water Act Section 303(d) List of Water Quality Limited Segments. Approved October 11, 2011. Sacramento, CA: State Water Resources Control Board. Your assistance is needed to develop effective strategies for improving and protecting water quality in our region’s creeks, rivers, and coastal waters! Whether you become involved in the public process or you simply take steps to limit your own water usage in and around your home, you can become a part of the solution. Think about replacing sod and other water-intensive shrubbery with drought-tolerant landscaping. As a result of the drought, many jurisdictions and water agencies actually offer rebates and other incentives to remove natural turf and install rain barrels and other water capture devices. Not only will this save you money up front, but it will also reduce your monthly water bill! Keep in mind that irrigation runoff from your property is prohibited and can result in a fine. Limit car washing and power-washing of building exteriors as much as possible. If your vehicle is in need of some TLC, then consider taking it to a certified car wash. If you are on a budget, then wash your car over permeable or unpaved surfaces, allowing any excess water to be absorbed into the soil instead of running into storm drains. Dispose of pest waste appropriately. When taking your dog for a walk, make sure that you always have a bag on hand so that when nature calls, you are ready. This will help prevent bacteria and pathogens that can cause illness from getting into our waterways. If you have some free time and don’t mind getting your hands a little dirty, many conservancies and foundations host clean up events for local creeks and lagoons. Please see our calendar to learn more about what events are being offered in your area! Don’t litter! Trash on our roadways and in our yards has a tendency to make its way to creeks, rivers, and ocean waters during rain events. Even consider carrying a bag with you to collect litter as you take your morning or evening neighborhood stroll. Implementation and adaptation of the Water Quality Improvement Plan is an ongoing process and as always, public input is encouraged. Meetings that are open to the public are posted in a timely manner to allow for public involvement. If you are interested, please check out our calendar for upcoming meetings. If you observe any discharges of water that you believe may be illicit, then do not hesitate to report it by means of our pollution reporting page. And lastly, do what you can to spread the word! Sometimes the most effective strategy is the simplest one. Now that you are a water quality expert, we are relying on your help to educate your coworkers, family, and friends.